Project Runway producer and host, Heidi Klum has launched her AOL "Lifestyle" site. Topics include "Fashion and Beauty," "Look of the Day" and there is more to come. 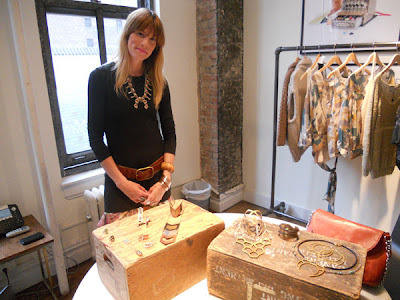 Project Runway Season 3 designer Alison Kelly introduces new summer dress designs! 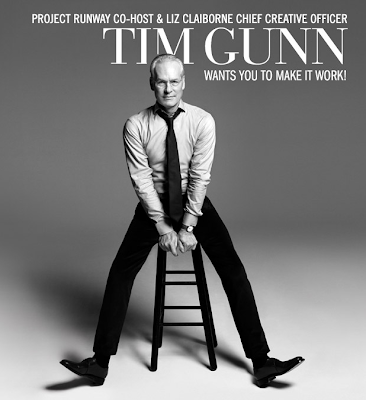 The Project Runway Season 8 finalist has been working hard since returning home last fall. We can expect to see "about a third" of his Fall Collection to be produced and sold locally. Click here for a new interview from Honolulu Magazine. The Project Runway season 4 winner presented a charity fashion show last night and will be at Stanley Korshak today from 12 - 5. The "Destiny's Child" singer looks gorgeous in a Michael Costello original. Nick Verreos sends us this report from the Los Angeles casting for season 9. 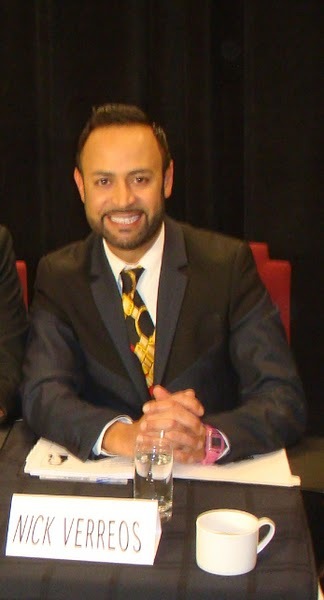 Nick Verreos - Celebrity Stylist for Virgin Mobile's Celebrity Couple "Sparah"
From the producers of Project Runway, a new show that promises an "irreverent look at Hollywood Style." Fashionation premieres tomorrow night at 9:00 PM on TVGuide Network. Project Runway Season 8 champion, Gretchen Jones has moved to New York, created a new collection and is introducing new jewelry pieces. 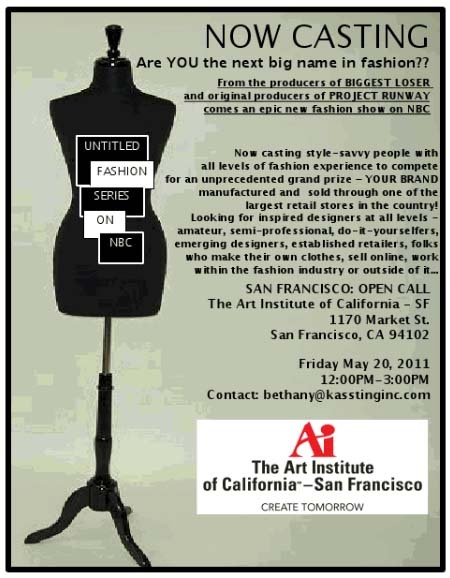 The previously announced "Untitled Fashion Project" is casting at the Art Institute of California SF April 20th from 12:00 - 3:00. Click here for the application. Pussycat Doll and Reality Show Judge, Nicole Scherzinger looks gorgeous in an Irina Shabayeva design at the L'Oreal National Movie Awards 2011 at Wembley Arena on May 11, 2011 in London, England. Peach Carr Ranks NFL Helmets! Project Runway Season 8 designer, Peach Carr weighs in on "Which NFL team has the best helmet?" 1. Chicago: I am biased ... was born and raised in Chicago. Proof that orange really is the "new pink." 2. San Francisco: The touch of red pairs perfectly with some Louboutin pumps. 3. St. Louis: Polka dots ... a huge hit this fall. 4. Tampa Bay: Skulls + heavy metal = Punk Couture ... a fashion "do." 5. Washington: Feathers ... still a hot trend! 6. Houston: Patriotism is "IN." 7. Minnesota: Will look hip with white bell-bottom jeans. 8. New York Jets: "Going Green" is always fashionable. 9. Philadelphia: This wing design would be slimming on everyone! 10. Indianapolis: Accessorizing with a classic shoe is always chic. Project Runway Season 8 finalist, Mondo Guerra is introducing a jewelry collection soon to be available at LoveMondoTrasho.com. Click here for the story from NYMag.com. 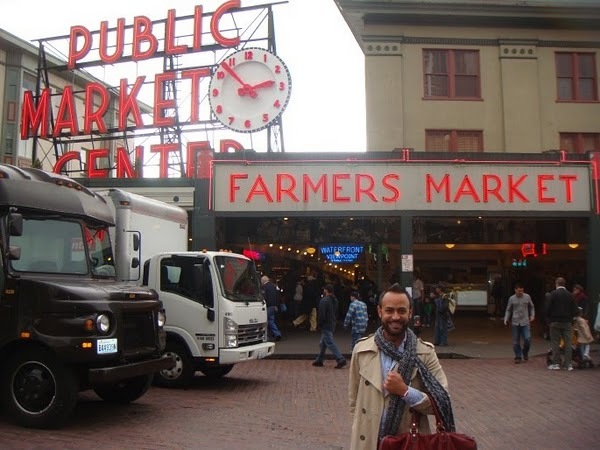 Check out a report from Tim's trip to Bellevue Square from The Seattleite. A highlight: Tim is wearing head-to-toe Lucky Brand. No suit! Check out page 243 of the May issue of Cosmopolitan. Thank you Beckie for sending this to BPR. 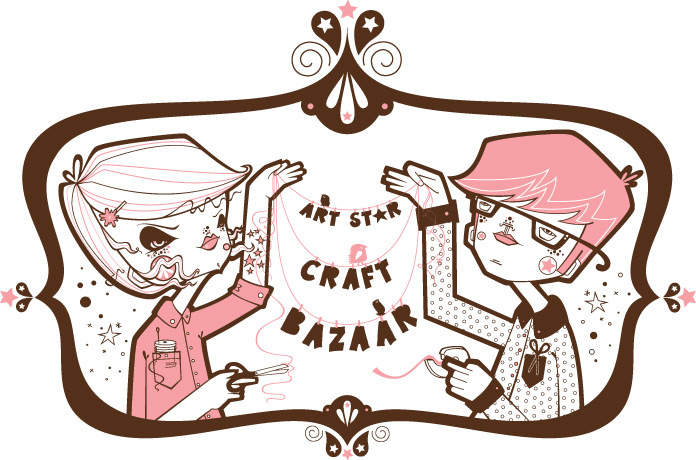 Project Runway Season 8 designer, Valerie Mayen is in Philly this weekend for the Art Star Craft Bazaar. Val is selling her brand new Yellowcake fashions and will be traveling across the country this summer to promote her line. 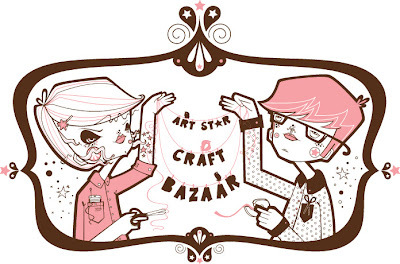 She has also founded a design co-op in Cleveland called Buzz and Growl and has operated a series of pop-up shops with more to come. I caught up with her by phone last night. 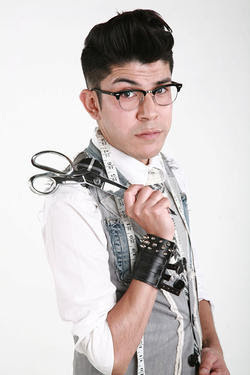 Project Runway Season 8 finalist, Mondo Guerra talks about "Living Positive by Design" and more. Of course I asked about All-Stars and whether he would be at any castings for season 9 hopefuls. Mondo is being very smart about his fashion career and "in contract negotiations" for his newest line. We hope to see his designs in retail stores for the Spring 2012 season. He is always fun to talk with. Mondo Guerra Joins Jack Mackenroth at "Living Positive by Design"
Project Runway season 8 finalist Mondo Guerra is back in NYC for the AIDS Walk New York on Sunday. 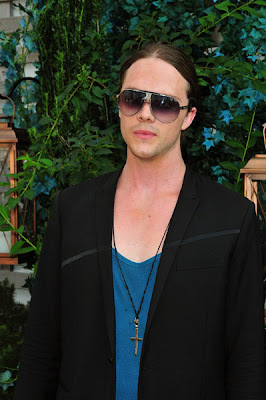 He also joins Jack Mackenroth as a spokesperson for "Living Positive by Design" an HIV education campaign. Mondo will be making appearances across the country in support of the campaign made possible by Merck. Click here for more information about "Living Positive by Design." Chris March on "The Real Housewives of New York"
Project Runway Season 4 finalist Chris March was back on Bravo last night! 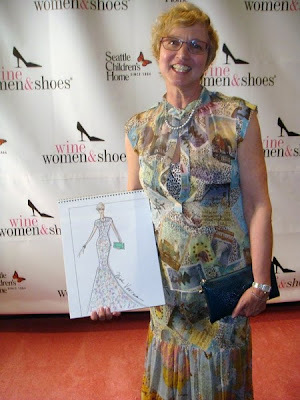 Project Runway Season 2 designer, Nick Verreos hosted the First Annual "Wine, Women and Shoes" event to benefit Seattle Children's Home last week. In addition to his hosting duties, Nick generously donated an original sketch to the charity. For the winning bidder, Alana, Nick created two additional sketches including this one of her! After seeing it, I'll bet more people wished that they had bid. Project Runway Season 6 designer, Logan Neitzel returns to Seattle today for a "Homecoming and Trunk Show" event. Happy Anniversary Heidi and Seal! Heidi Klum and Seal celebrated their sixth anniversary at Donald Trump's estate in Palm Beach on Sunday. They renew their vows each year and always celebrate in a fun and unique way. All four of their children also participated in the ceremony. Click here for the story from Us Weekly. Project Runway Season 6 finalist, Carol Hannah Whitfield talks to BPR about bridal fashions and more. 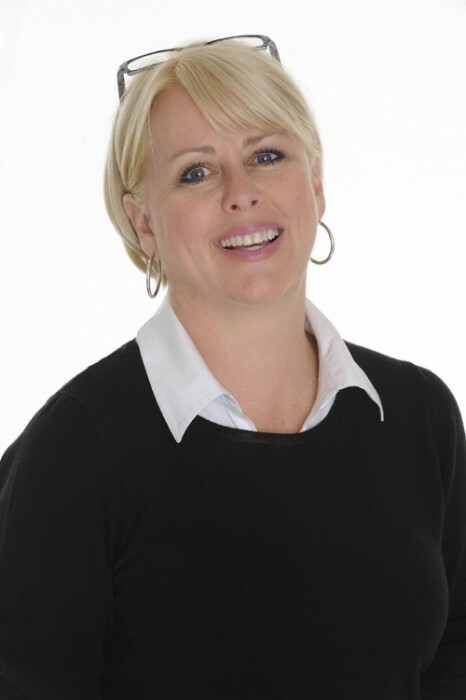 Carol Hannah has been designing bridal fashions since she was in high school. Her latest wedding collection was presented last month and we were there! Her bridesmaid's collection is available at Bella Bridesmaid stores across the country. Tim will be at Bellevue Square at 1:00 tomorrow. Nick Verreos styles "Sparah" in this new ad. Stay tuned for more! Tim Gunn granted three wishes to the remaining contestants in a "Cinderella"-themed episode. Season 9 is slated to premiere "this summer" and if past scheduling practice is followed that likely means a late July debut. Casting is going on now and primary filming will most likely take place in June and early July. Eight one-hour episodes each of Project Runway All Stars, featuring talented and memorable past contestants from the series who will once again compete against each other in a series of challenges to show they still have the innovation, talent and poise that made them household names, and Project Accessory, following enterprising artists who will be put to the test to create the newest and hottest trends in accessories as they compete for a cash grand prize to help them launch their own fashion accessories business. 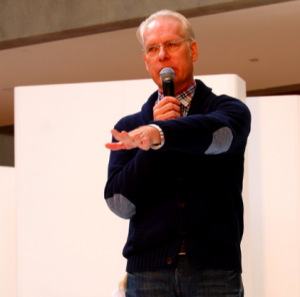 Thankfully, there was no announcement concerning the dubious Project Runway: Masters project. 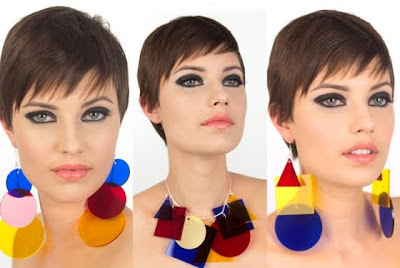 We are excited to see former Project Runway Executive Producer Rich Bye affiliated with Project Accessory but are worried about the dilution of the brand. Is this too much Runway? Click here for more from Lifetime. 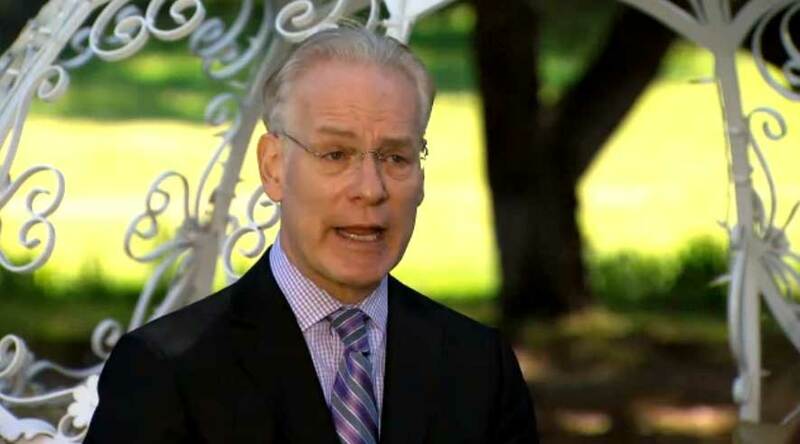 Season 5 designer and BPR friend Joe Faris weighs in on The Royal Wedding. It's great seeing you again Joe!